Reasons Why Our Students Choose Us! We’ve managed to produce excellent results year after year since our inception in 2009. 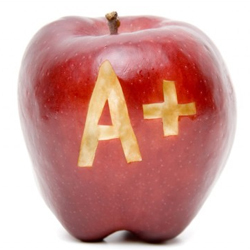 Approximately 80% of our students achieve an A1 to B4 grade for their O Level exam. Our track record happens year after year without us selecting our students! In fact, a large portion of our students come from non-elite schools! We take a lot of pride in the materials we provide during our classes. No flimsy/low quality photocopies of stuff you can find already in textbooks/guidebooks! All our material is customised and tailored to ensure students are able to comprehend it fully – as well as they would a good novel! We have successfully found ways to engage students and captivate their attention while delivering content thought to be “boring” in school. Our lessons are so well received by students that many of them look forward to classes each week! 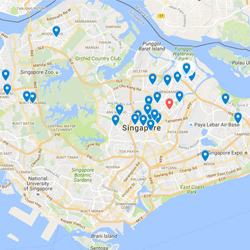 In fact, more and more of our students come from all over Singapore just to get their Chem Fix! My fear was that I wouldn’t be able to understand what you were teaching and that my grades wouldn’t improve. But I was able to catch what you were teaching and not only did my grades improve, I even kinda enjoyed tuition. My favourite part was the relaxed and engaging environment as I am able to better understand and follow what you were teaching. Lessons were very clear and simple and the explanations given helped clear some of the misconceptions I previously had. My favourite part was the interaction between students and tutor which made lessons more fun and engaging. I would say that the lessons were helpful for me to understand and score better for chem! The class was actually really interesting and it made me look forward to the upcoming lessons. My favourite part about lessons at the classroom is that we are given worksheets and exercises to do during the lesson. This allowed me to clarify the questions that I have regarding the worksheet on the spot with the teacher. The classroom provides a conducive environment for you to learn while having fun! 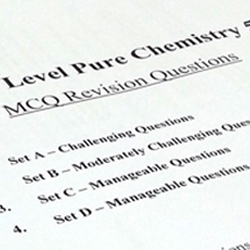 At Chem.Made.Easy, we like to think that we provide everything necessary for our students to do well – Engaging Lessons and Top Notch Materials. In addition, we encourage students to consult us, one-to-one, with questions/concepts they need help with, either via a pre-arranged consultation or by SMS/Whatsapp! We take our students learning very seriously!